There are a few recipes that are so cherished by my family. 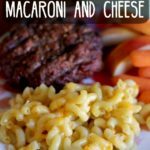 This macaroni and cheese recipe is one I grew up with and is one of my favorite recipes passed down from my grandma. Every time she would come babysit we would beg her to make macaroni and cheese. I love that now I can make it for my kids and they love it too. The recipe is covered in splatters and looks pretty ragged because it is so well-loved. Macaroni or cheese is such a classic comfort food and is also perfect for BBQ’s now that the weather is warming up. I bring it to potlucks and it’s always a huge crowd pleaser. This mac n’ cheese recipe is super easy and so worth the extra time of baking it in the oven compared to the box stuff. All you need is 6 ingredients and you may already have all of them in your pantry. The mac n’ cheese bakes in a 2qt to 2.5qt casserole dish. I use THESE gorgeous dishes from CorningWare. I use the biggest round 2.5qt dish, and it comes with a lid to store it in the fridge when you’re done. The dishes look so clean and pretty. I use them multiple times a week and I really love them. I will often serve this mac n’ cheese with sloppy joes, or hamburgers. Then with a few sides of salad or baby carrots with some fruit, it’s a perfect meal. 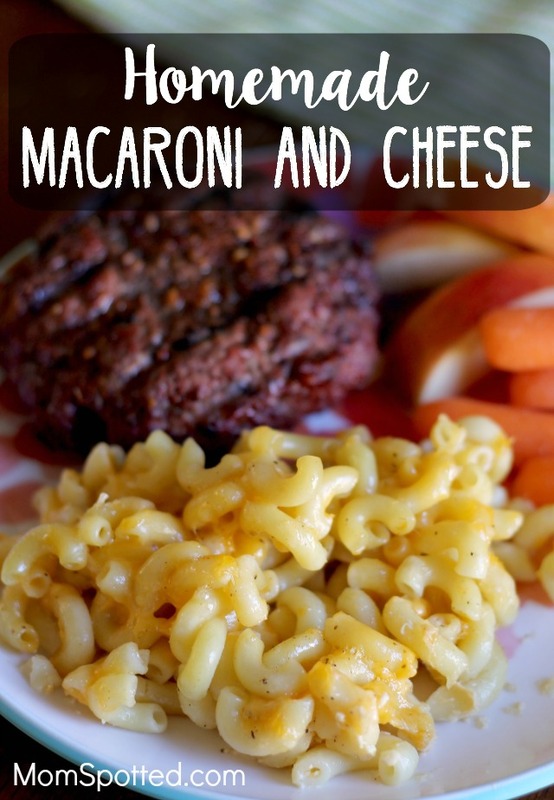 My kids request this mac n’ cheese regularly and are awesome for lunches the next day. 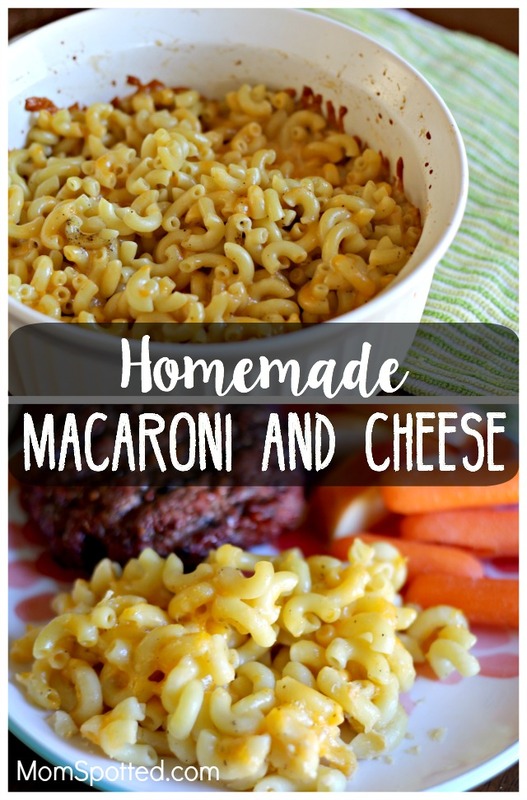 Easy and delicious homemade macaroni and cheese is made with just a few simple ingredients. It is perfect for a BBQ, potluck, or comfort food for your family. Pour evaporated milk, salt, dry mustard, ground pepper and mix well. Add 1 cup of shredded cheese and stir to combine. Cover with glass lid or tin foil and put into the oven. Remove from oven, cool for 5-10 mins then serve. I hope you enjoy this cherished family recipe. It is creamy, cheesy, and delicious. Make it for your next BBQ as the weather warms up or enjoy it as comfort food with your family. This looks so good. I love macaroni. It’s comfort food. I made it last weekend.